It's Wabbit season!! Well at least Zombie Rabbit Season.. Here is the Official scoring Devil Dog and Myself came up with for the new Zombie Target. 10 shots total per target! Hostage Killer any shot that hits Suzie minus 25 points per shot! Here is the link to download the targets! 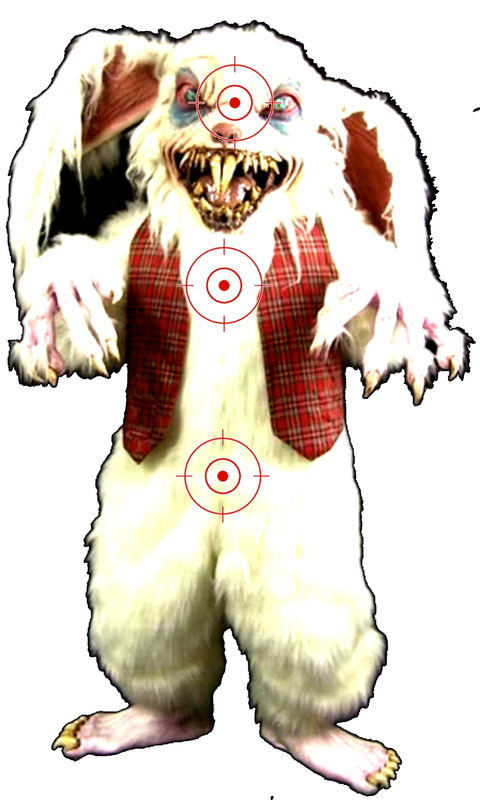 Harvey The Zombie Bunny without Suzie This is a practice target only! Not to be used on the shoot! So let the Zombie Hunting Begin,! This shoot is open until the end of May. So don't worry if it's to cold right now you have time to save Suzie. Thanks Mark and Devil Dog for your time and efforts on putting together this rabbit hunt. To all who participate KILL EM BEFORE THEY MULTIPLY!!!!!!!!!!!!!!!!!!! OK the shoot is open.. so grab those targets and start practicing. I'd like to get a count for those who plan on shooting if possible. When will the official steel sight target be available? 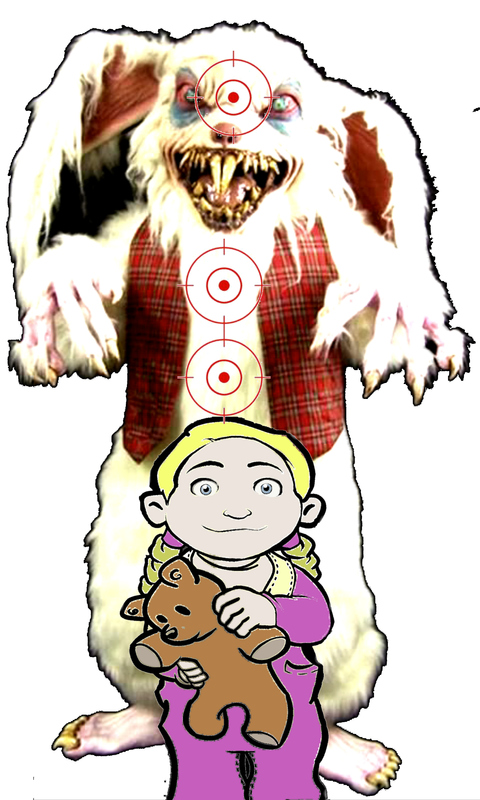 The Bottom Target Harvey The Zombie Bunny with Suzie is the official target. So have at it. Count me in again Mark. The weather is great in the Bluegrass State. He put 7 on Bunny, but 3 were body armor shots. Well he certainly gave bunny some new dental work. Tell him good shootin and welcome to the Mosin Fold. Ok, so last thursday we played halfday hookie and went to angeles. the night before i thought maybe i should doouble check Chenko for scope zero and i got side tracked and didnt. one of the things that i got sidetrack with was the cheek rest. the RSI with Leupold low profile rings is just too high for the boyds stock. some of you will remember that this has been a concern of mine since getting her back from TTI so i had to fashion a ***** check rest out of a keyboard gel wrist rest and some duck tape. (Please see the Chenko thread in a few minutes, i will post a pic there. i could really use so input.) keep in mind that this cheek rest obstruct the bore when the bolt is out. anyway, this is the first time shooting her. we totally forgot the bench rest so i was stuck with using a the bipod. i figured this wasnt a big issue. @50yards on a standard round target (8"?) aiming on the bullseye, she wasnt even on paper. in fact it took me 12 rounds to even find where she was hitting. i started making adjustment. i was getting frustrated and having a difficult time holding steady and adjusting the scope without a rest and my scope not having graduations because its a hunting scope. finally i got to a point i thought that was reasonable which was 10 rounds taking out all of the bullseye. so i am submitting this target for the time being. i will be going back after i fix my zero issue. the target was printed on 8 1/2 x 11"